Three Unit Investment Auction — Harritt Group, Inc. Recently renovated ranch home plus 2-story duplex perfect for investor or homeowner. Conveniently located near schools, shopping and I-65 just 3/10 mile off IN-31. One-level 1064 square foot vinyl siding ranch built in 1965 with enclosed porch, deck, patio and utility shed on 50×140’ lot. Immaculate ready to move into features 2 bedrooms, 1 bath, living room, eat-in kitchen equipped with new appliances, spacious laundry mud room, gas heat and central air. Recent improvements include replacement windows, kitchen, bath, flooring & paint. 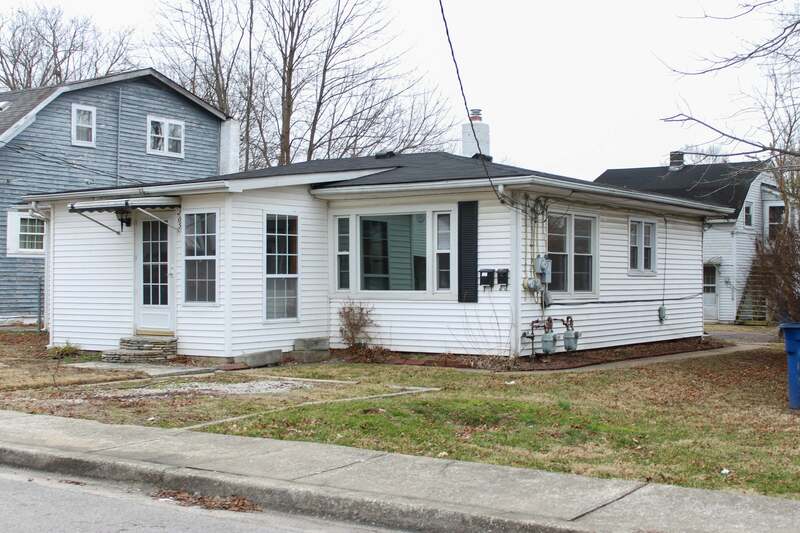 2-story vinyl siding duplex with (2) 550 square foot 1 bedroom-1 bath units built in 1950. Current rent $325 on upper unit, previous rent on lower unit $400. I-65 Sellersburg Exit to East on County Road 311. Right at light on Indiana Avenue. 3/10 mile to left on Popp Avenue. 3/10 mile to home on right.